The 14 cm Extension is ideal for homes with wider door openings or staircases. 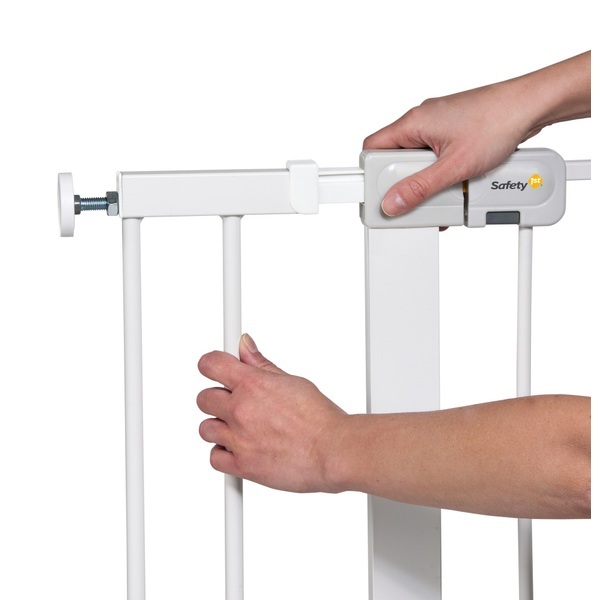 It is compatible with Safety 1st pressure fit gates, which fit opening widths of 73 to 80 cm. (Each sold separately) These gates can also be used with 7 and 28 cm extensions to cover a maximum opening of up to 136 cm. carefully measure the width of the opening before ordering extensions. EU Warning: Read the instructions before installation as incorrect installation can be dangerous. Make sure that the wall, door frame or stair post to which you are fixing the gate is strong, rigid and has an even grease free surface.